Includes a FREE MT1 Tailstock Chuck (1/32" - 3/8" dia. capacity) for drilling on centerline. A $38.45 value! 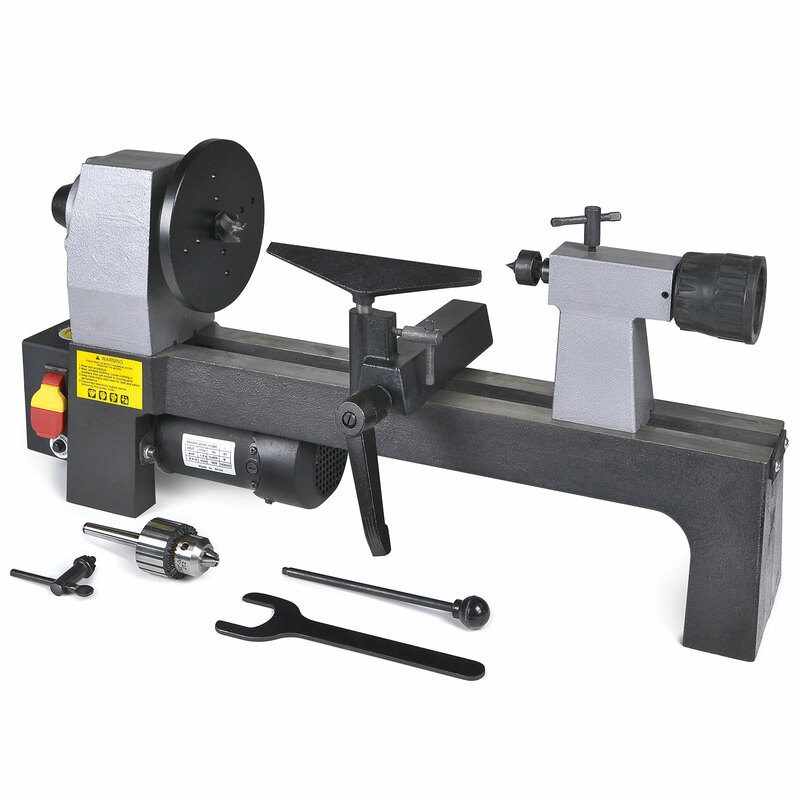 MicroLux® 8 x 12 Wood Turner's Lathe is a combination of power, heft and durability. Compact in size but large in capability, this lathe fits easily on top of your workbench and will provide endless hours of wood turning enjoyment. Just some of the fun items to make are pens, bowls, candle sticks, doll house newel post and finials, honey dippers, candy dishes, vases, pepper grinders, ship yards, spars and masts even Christmas trees and ornaments. Features include variable speed (750 – 3200 rpm) 1/3 hp motor, 8" swing over bed, 12" length capacity, head spur drive, live tailstock center, 5-3/4" face plate, heavy duty cast iron base and 7" tool rest. Weight: 41 lbs. loaded; footprint: 28" long x 10" wide x 13" high. Head and tailstock have a #1 Morse internal fitting and the spindle has 1" x 8 tpi external threading.